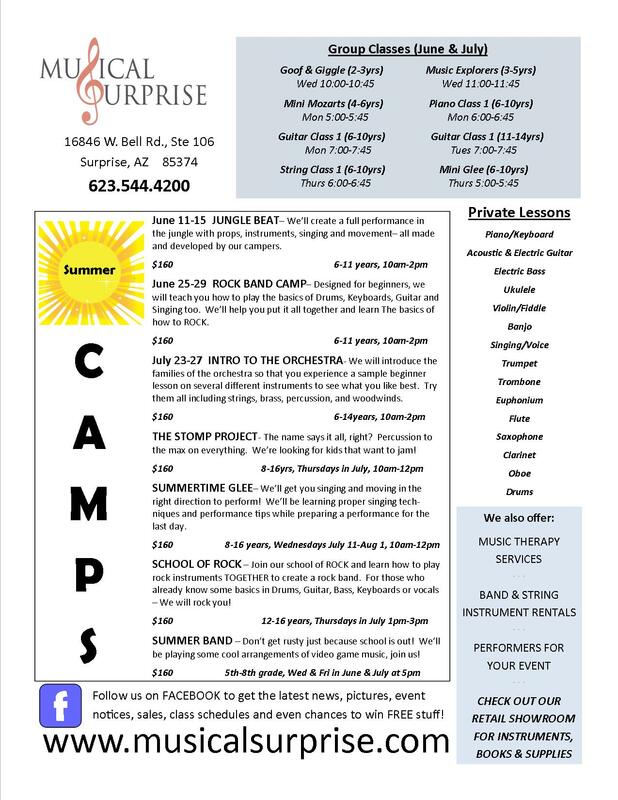 Sign Up Now For 2012 Summer Camps & Classes! Anticipation is growing due to the many new Summer Camps & Classes that will inspire and motivate students to learn and have fun! Space will be limited so please call 623-544-4200 and reserve your spot today! Next Next post: Congratulations to our Voice Students!